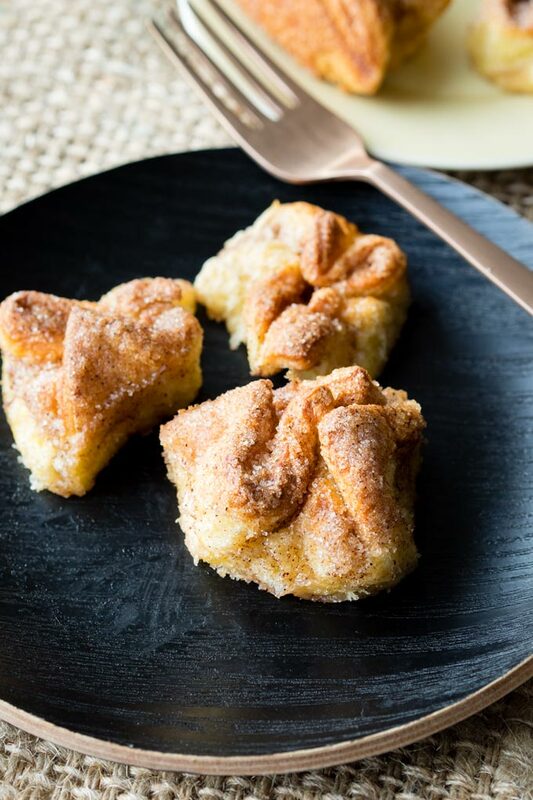 This Cinnamon Sugar Pull Apart Bread is made with crescent rolls, meaning you can get this in the oven in just 10 minutes or less! 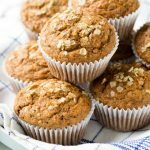 A quick and easy breakfast recipe designed to satisfy your fall craving for cinnamon and spice. 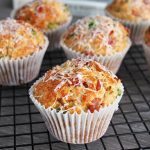 A fun and unique way to have crescent rolls for breakfast. This cinnamon sugar crescent roll breakfast is on a mission to satisfy all your cinnamon sugar cravings. 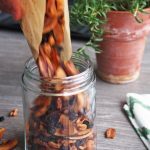 It will make your entire home smell delicious, and this recipe is so easy make! Autumn is in full force in London and my tastebuds have been begging for a cinnamon-and-spice overdose at breakfast. I get that there’s no rule saying you can’t use cinnamon year round, but there’s a switch in my brain that ticks on when the air cools down and the sounds of crisp rustling leaves ring like music in the parks. 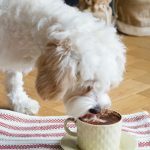 I’m thinking about starting on my seasonal hot pumpkin spice drink too already. Here you go. 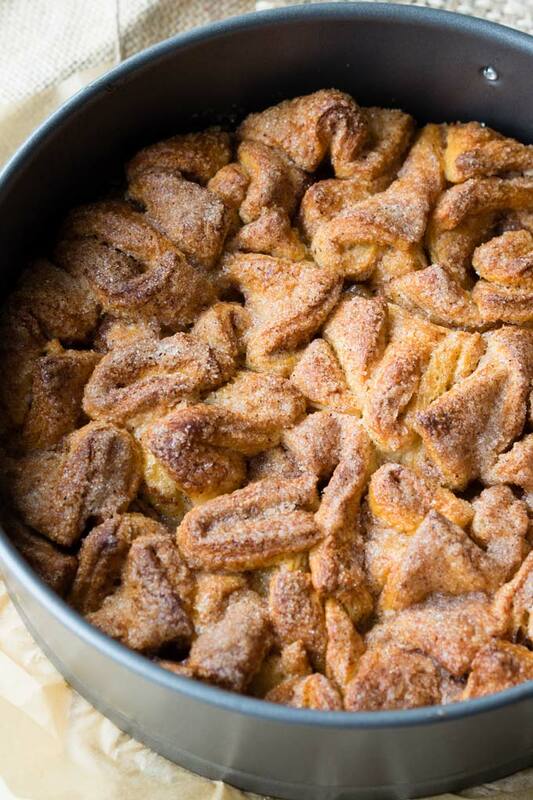 Have this Cinnamon Sugar Pull Apart Bread made with crescent rolls for breakfast. Quench any fall season craving for cinnamon and spice in one bite. 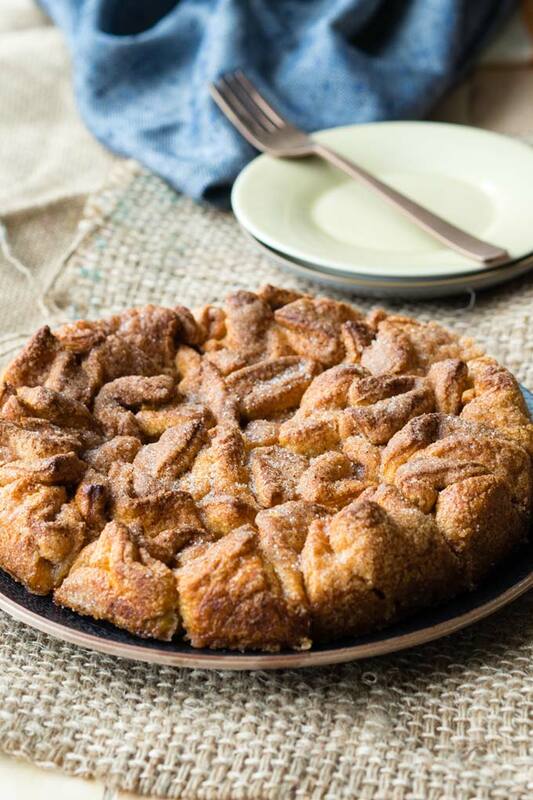 Baking this cinnamon crescent roll recipe fills our entire flat with the sweet scent of fall. Sometimes I think I could bake this over and over again, just to keep the smell going. 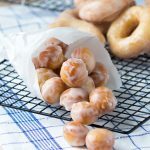 It’s a good thing that this Cinnamon Sugar Pull Apart Bread is made with crescent rolls because that means you can get this in the oven in just 10 minutes or less! You read that right. Many pull apart bread recipes require you to allow the dough to rest and rise. Not this one. 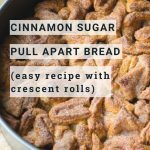 This easy cinnamon pull apart bread recipe only takes 10 minutes because it uses trusty little crescent rolls. Any time I think of a breakfast idea with crescent rolls, I secretly do a little dance inside. I love recipes that use crescent rolls for breakfast because it means (1) it’s quick. And well, that’s the only reason I need. But here’s the warning. This easy cinnamon pull apart bread is quick to make and also quick to disappear. Because it’s a pull apart bread, there’s no need to wait for someone to serve you. Everyone, please just reach your hands in there and pull off a piece. Crescent rolls are tastiest when warm, so get in there quickly! 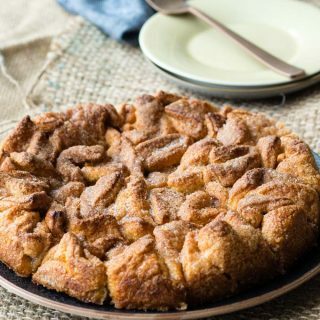 The only thing that will linger is the sweet scent of the cinnamon sugar in the kitchen, and the fond memories you make sharing these pull apart style cinnamon sugar crescent rolls with your family and friends. 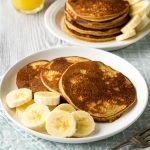 Are you a cinnamon addict too? 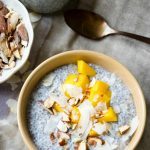 Give these other cinnamon breakfast recipes a try! 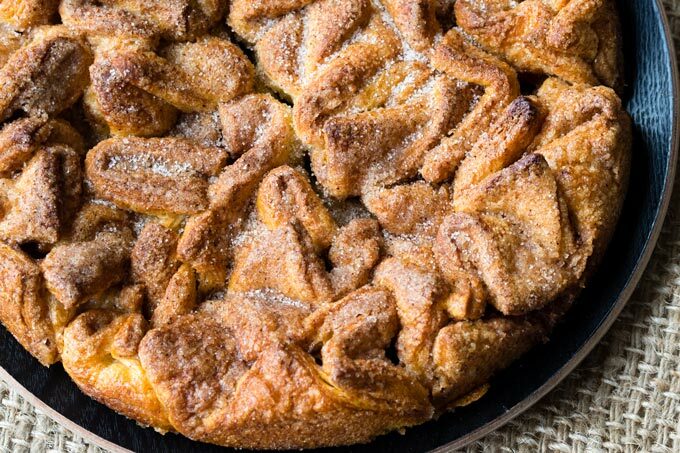 This Cinnamon Sugar Pull Apart Bread is made with crescent rolls, meaning you can get this in the oven in just 10 minutes or less! 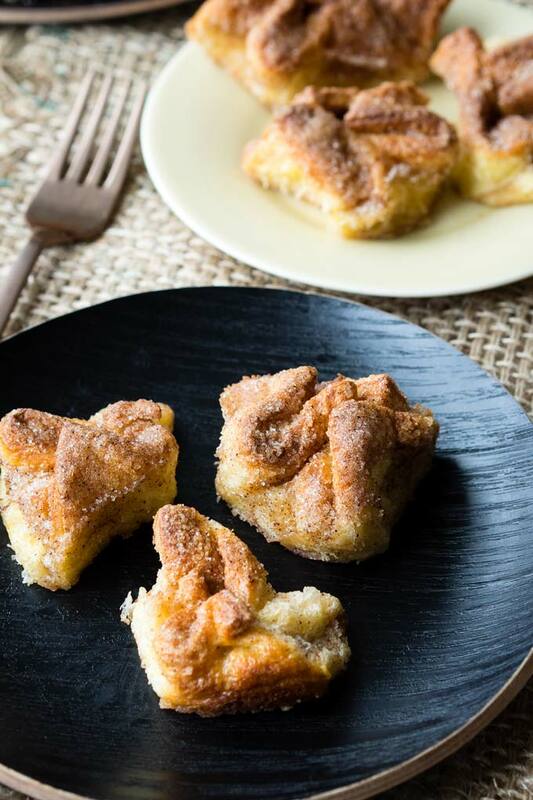 A quick and easy breakfast recipe if you love cinnamon and crescent rolls. Preheat the oven to 390°F / 200°C. 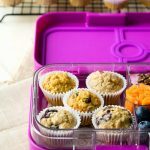 Prepare a 8-inch springform tin by greasing the sides and either greasing the bottom of the pan, or covering the bottom of the pan with parchment paper. Set aside. In a small bowl, mix together the sugar and cinnamon. Set aside. Prepare a silicon mat or a sheet of wax paper by sprinkling on some of the cinnamon sugar (this is so the dough does not stick as much to the work surface). Open the can of croissant dough, and unroll the dough onto your work surface. Do not break apart the dough along the perforated lines. Brush the dough with the melted butter, reserving a bit of the butter for brushing on top just before putting the pull apart bread in the oven. Evenly sprinkle on 6 tablespoons of the cinnamon sugar. Gently push down on the cinnamon sugar with your hands, so it sticks a bit to the dough. Cut the dough so you have roughly 12 squares that are each approximately 2-inches by 2-inches (the shape of the unrolled dough will vary by brand). Take one piece of dough and loosely scrunch up the sides of the dough so all the edges and corners are pointing upwards. Set it into the prepared baking pan, against the side of the pan. Take a second piece of dough, loosely scrunch up the sides of that piece, and place it next to the first one, just touching, so that the two piece support each other. Repeat the same process with the remaining pieces of dough, setting each piece of dough next to the previous piece, so that the pieces are all loosely touching and supporting one another. Lightly brush the top of the pull apart bread with the remaining butter. Sprinkle on the remaining cinnamon sugar. Bake in the oven for 20-24 minutes, until the top is a dark golden brown. 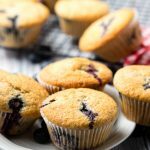 Remove and allow to cool in the pan slightly before serving. Enjoy! 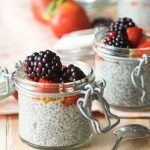 I love how quick and easy this recipe is, not to mention delicious! It looks like a perfect pick-me-up for a chilly fall day! Wow, this looks AMAZING! I can only imagine how delicious it tastes and smells. I would absolutely love to make this for my next holiday get together! I don’t think I’ve seen such an easy pull-apart bread recipe. It looks perfect for fall!